IRISH TEENAGERS HAVE one of the lowest rates of regular drinking in Europe and are getting drunk far less than they used to, new research has shown. The research was carried out by the University of St Andrews on behalf of the European branch of the World Health Organisation and collected data from between 2002-2014. 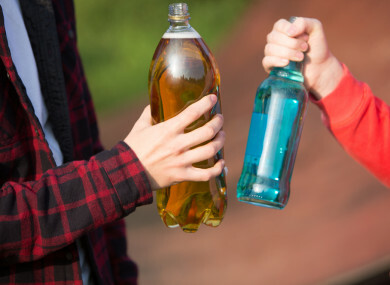 The study looked at the alcohol consumption of teenagers across 36 countries and found that the sub-region of Ireland/Great Britain showed the largest decrease. In terms of regular drinking by 15-year-olds, Irish girls were second-lowest in the study with just 3% drinking on a weekly basis – down from 11% in 2002. Only teenage girls in Iceland were seen to drink less. Irish 15-year-old boys were more likely to drink on a weekly basis but were still among the least likely to do so across Europe at just 5% – down from 14% in 2002. Only boys in Iceland and Norway were found to drink less regularly than their Irish peers. Combined with Great Britain as one of five subregions, the extent of the decline is clear with with Ireland/Great Britain showing the largest decrease between 2002-2014, from 34% to 8% among girls and 42% to 11% among boys. In 2002, Ireland/Great Britain reported the highest levels of weekly drinking among boys (42%) and it is now the second lowest, above only the Nordic region. The study also looked at the level of drunkenness among 15-year-olds, something it defined as being drunk two or more times in a lifetime. In Ireland the rate was 16% for both boys and girls, a huge drop on 2002 when it was 32% for girls and 33% for boys. On a subregional basis, Ireland/Great Britain saw the biggest fall in teenage drunkenness over this period, declining from from 50% to 28% in girls and 52% to 27% in boys. The report points out that cultural characteristics have often been cited to explain differences in drinking motivations among young people and that in “individualistic” countries like Ireland, the Netherlands and the UK there there may be more motivation to do so. The report authors suggest that this may be changing. “Overall reductions in harmful drinking have been greatest in countries that traditionally have had higher prevalence, such as Great Britain and the Nordic region,” lead editor of the report Dr Jo Inchley said on its publication today. The report points to enforcing age checks and restricting alcohol marketing as methods that could further reduce underage drinking. Email “Irish teenagers are drinking less often than almost all their European peers”. Feedback on “Irish teenagers are drinking less often than almost all their European peers”.